It has been a very exciting week in the world of nutrition! Phase 1 of the new Canada’s Food Guide was unveiled on Tuesday, January 22nd – the first update in more than 12 years. 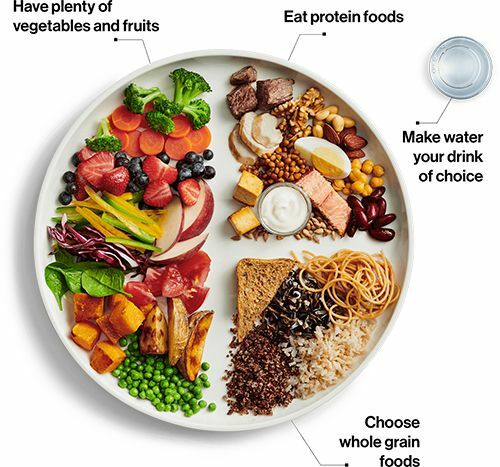 With this revision, Health Canada is simplifying healthy eating and is offering their recommendations via an interactive online tool that is accessible to Canadians where they live, learn, work, and play (see snapshot of Canada’s Food Guide below). The old “all-in-one” tool has been replaced with a suite of online resources developed for various users. The new Guide uses terminology that Canadians already use when making food choices, such as “protein foods”, rather than specific food groups. 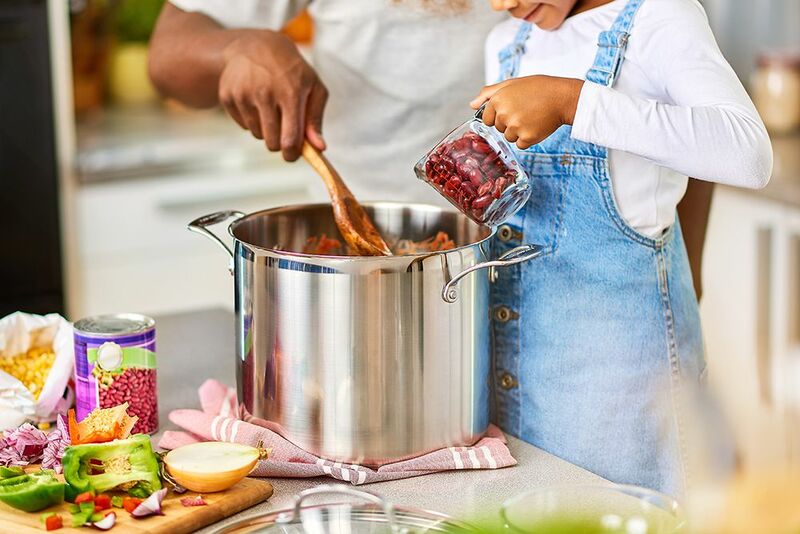 Instead of focusing on food groups, number of servings and serving sizes, the new Guide includes at-a-glance information on what to eat and provides actionable advice on how to eat, including cooking more often and eating meals with others. HOW DOES THIS AFFECT YOUR MENU? Wholesome Kids Catering has been proactively working and planning ahead in preparation for these changes. In addition to developing menus that comply with the nutrition requirements of the Child Care and Early Years Act (CCEYA), Wholesome Kids Catering is applying the recommendations of the Ontario Dietitians in Public Health (ODPH), which are very much aligned with the new Guide. Upon the release of Phase 2 of the new Guide scheduled for later in 2019, Wholesome Kids Catering will gain access to additional information that will further support our work to ensure that all things nutrition are taken care of for you! Wholesome Kids Catering has always believed in the power of nutritious food to enrich the lives of growing children. We agree that healthy eating is about more than the foods children eat; it’s also about where, when, why, and how they eat. By serving a variety of freshly prepared chef-inspired meals and snacks in a family-style format, each child we feed has an opportunity to enjoy good food in good company. We know that eating together can reinforce healthy habits and make a positive impact on a child’s social and mental wellness. We also offer early nutrition education to ignite a curiosity about food and where it comes from and to inspire children to develop cooking skills. The new Guide encourages these same elements and we couldn’t be more excited to see it make a difference in the health of our communities. Should you have any questions, please reach out to our customer care team and they will be happy to assist you. We love what we do and it shows! See what our customers and parents are saying about us. We wanted to let you know that our son’s dietitian was so impressed with the variety and healthfulness of the foods he is eating. Food quality was a major factor in our decision for best care options. It is so wonderful that he is provided with balanced alternatives, foods reflective of our eating at home and teachers who pass along tips to support his trying new foods – like many legumes and vegetables. Food for Tots has provided us with food that our children love every day! The variety of foods they provide keeps lunch time interesting for the children and introduces them to different types of flavours from around the world. Wholesome Kids Catering, formerly Food for Tots, welcomes feedback and made changes accordingly to make sure the children are enjoying the food. We were very grateful and pleasantly surprised with the quality, presentation and taste of the food. Everything was very professionally received; including the delivery driver who always had a smile and a “good morning”. I would not hesitate to recommend (Wholesome) to anyone looking at a child directed catering service. My son is currently attending a YMCA location in Whitby and he is by far the pickiest eater ever. I found that since he has been there he will try new things and enjoys the food that is offered. The one item that is his favourite is the Organic Whole Wheat Apple Beet loaf. This bread is all he talks about and it would be such a great thing to pack in his lunches for school next year. © Copyright 2019. Wholesome Kids Catering, All Rights Reserved.